With Snowball Run, Clickgamer.com has introduced a charming and challenging game that is one of the best in the running hero genre. You play as a Yeti who has accidentally created an avalanche (that”s what happens when you fling your boogers!) and is now running for his life. You must double tap rocks, swipe trees and birds, and tap/swipe yaks to avoid running into them, or having them add more volume to the approaching snowball. 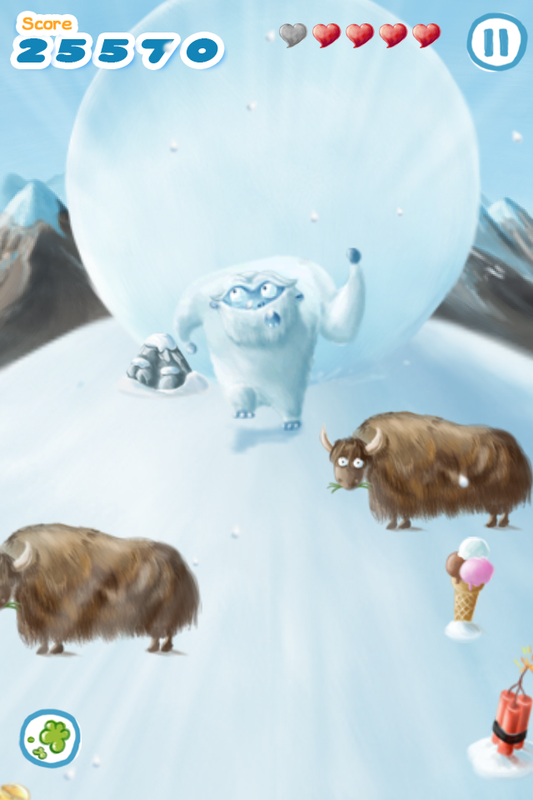 You must also guide Yeti into ice cream cones for points and power up objects for bonuses. 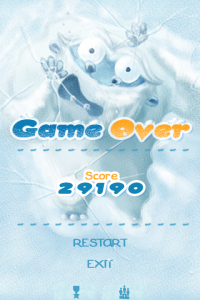 Snowball Run plays beautifully. The controls are smooth and intuitive, with no tap or swipe misinterpreted. The learning curve is spot-on, starting out easy with a simple and clear tutorial, swelling to a frantic storm casino online of tapping/swiping, resulting in continuous laughter even at “game over”. 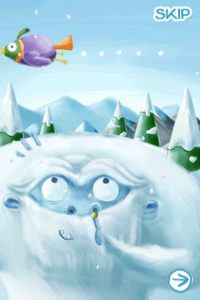 The visuals in Snowball Run are gorgeous and amusing. 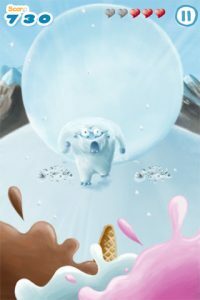 The arctic world is lovely, in a colorful cartoon style, and adds to the pleasure of the game. The look on Yeti”s face when a life is lost is priceless! Bottom line: Snowball Run plays as good as it looks and will have you laughing for hours. At the price, it”s a must have. 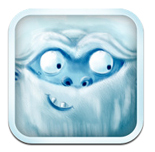 Snowball Run is compatible with iPhone, iPod touch, and iPad. Requires iOS 4.1 or later.